A week-long festival of everything creative and design-related from talks and workshops to networking with like-minded people. Taking place from Jan 26-Feb 3. The festival aims to inspire all the creative minds with new ideas and to help develop the design industry in Bangkok for the better. For the full line-up of activities, please visit www.bangkokdesignweek.com. Saturday, Jan 26-Sunday, Feb 3. Venues around Charoenkrung, including Thailand Creative and Design Center (TCDC), The Grand Postal Building, 1160 Charoenkrung Rd., 02-105-7400 Ext. 213. Free. As part of Bangkok Design Week 2019, Thai social enterprise group Eye on Field presents an art exhibition about Klongtoey through fashion design, rap lyrics, photographs and tattoo designs by kids from the neighborhood. Dress up in cosplay and spend a weekend exploring everything Japan-related from food, anime and games to art and fashion. There'll also be the chance to meet famous Japanese artists, plus catch a free live concert from Wasuta. Friday-Sunday, Jan 25-27, 10am-9pm. CentralWorld, 999/9 Rama 1 Rd., 02-640-7000. Free. 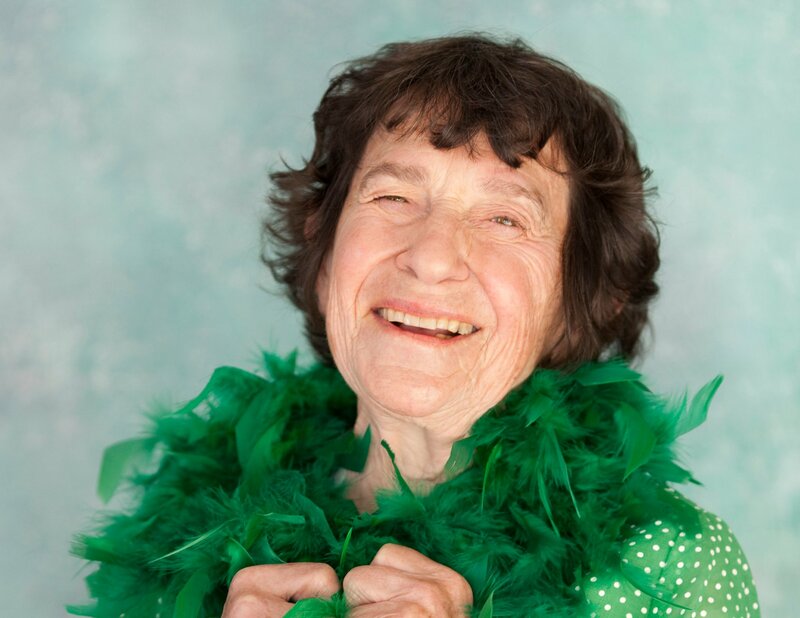 The 84-year-old San Franciscan comedian, who claims to be the world's oldest performing female stand-up comedian, performs her risque quips on topics ranging from relationships to aging. Miller has graced both America’s Got Talent and Britain's Got Talent as well as received awards at the Edinburgh Fringe. Support will come from Comedy Central comic Carlos Rodriguez. Friday, Jan 25, 8:30pm. The Comedy Club Bangkok, The Royal Oak Pub, 595/10 Sukhumvit Soi 33/1, 098-854-0410. B600 in advance or B800 on the door. Sunday, Jan 27, 7-9pm. Comedy Club Bangkok, Sukhumvit Soi 33/1, above The Royal Oak Pub, 098-854-0410. B800 at www.comedyclubbangkok.com. DJs Junesis, Neil Thorpe, Hasan Khan and Matt Williams play everything from underground house and techno to Afro beats. Mustache Bar recently announced it was banning the use of mobile phones on the dance floor. Friday, Jan 25, 10pm. Mustache Bar, 544/5 Ratchadaphisek Soi 7, 081-844-7080. Free before midnight, B250 after. Local DJs Tassmah, Kuggah and Roots Tone spin dub and reggae all night long. Friday, Jan 25, 9pm. Studio Lam, Sukhumvit Soi 51, 02-261-6661. B200. Three DJs Boogie G, Tristan Kino and Saari take turns spinning disco, house and everything else with good vibes. Friday, Jan 25, 10pm. 12x12, 810/22 Thonglor Soi Thararom 2, 094-260-4713. B200. Three European underground DJs Stipe from Berlin with Evonii and Sami Dilla from London take turn spinning techno all night. Friday, Jan 25, 8pm. De Commune, 1/F, Liberty Plaza, Sukhumvit Soi 55 (Thonglor), 088-419-7380. Free before 11pm, B300 after. Thailand’s DJs Bonita Everitt and Luna Summer with their “Girl Gone Wild” special spin the hot electronic beats all night. Saturday, Jan 26, 10pm. Mustache Bar, 544/5 Ratchadaphisek Soi 7, 081-844-7080. Free before midnight, B300 after includes 1 drink. Celebrating the 4th birthday of Bangkok’s disco night with Hong Kong club veteran Roy Malig supported by residents Boogie G and Maarten Goetheer spinning modern funk, disco and electro-funk. Saturday, Jan 26, 9pm. Studio Lam, Sukhumvit Soi 51, 02-261-6661. Free. The music festival holds it first installment with lineup that includes both Japanese (Kokeshi Doll and Geode) and Thai (Lowfat, Yensuk, the Layers and Akira-kudo) artists. Learn to make a short film in one weekend, covering the planning, shooting and edit stages. Jan 25-27. The Hive Thonglor, 46/9, Sukhumvit Soi 49, 02-662-6062. B1,060. The Dutch artist, known for his collage works depicting quirky characters in surreal situations, holds a workshop on creating imaginary stories by using elements of different images.